Hello, everyone! 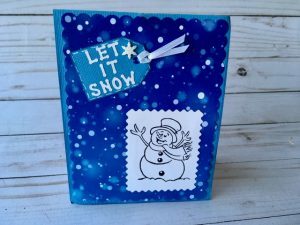 Vicky here and I am so excited to share all our Duluth, Georgia card swap winners. As a cardmaker myself, I know how much time and energy goes into each card that we make. Let me tell you that I understand why we had such fabulous winners; these cards are amazing! 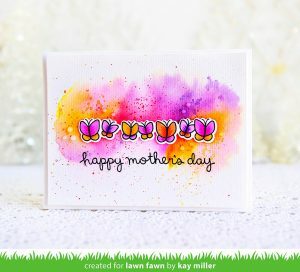 Our first card was created by Landree Powe. 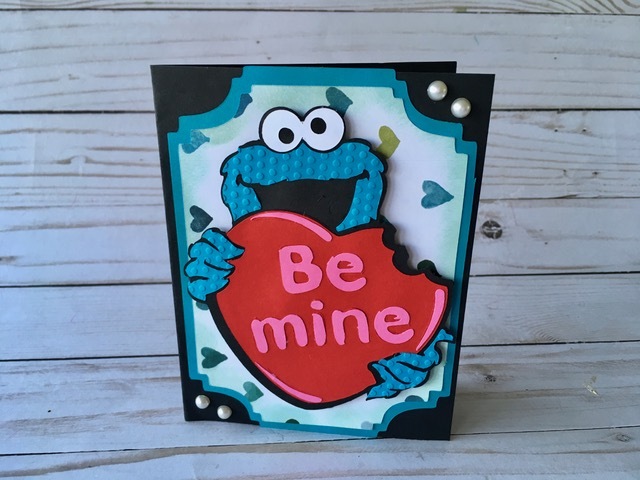 I love her cookie monster Valentine-themed card. Wow! 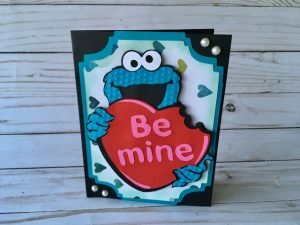 With six-plus layers and cookie monster himself being embossed, no wonder why it was voted as one of the winners. Simply delicious. Awesome job, Landree! 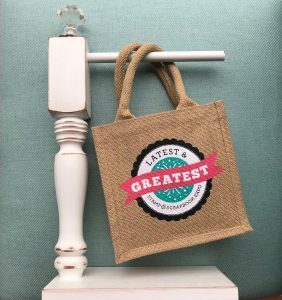 Our next card winner goes to Tristen S. and oh my, how gorgeous! I love the black and white theme. 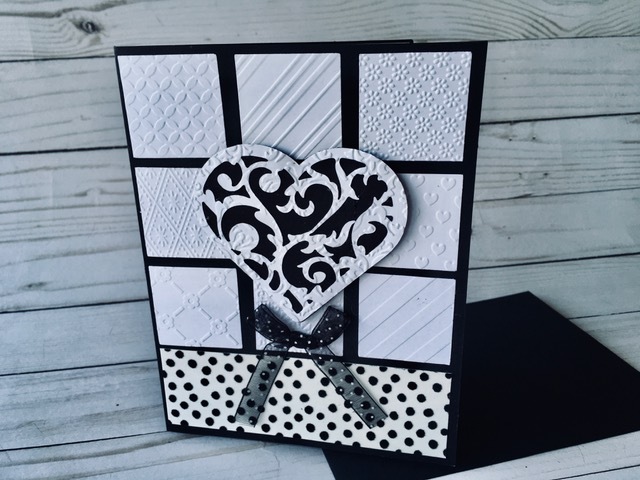 Each square is embossed with different folders such as flowers, hearts, and stripes, then the center heart is layered and embossed and placed on pop dots to give it dimension. The perfect addition is the black and white polka dot bow under the heart. Amazing job, Tristen! 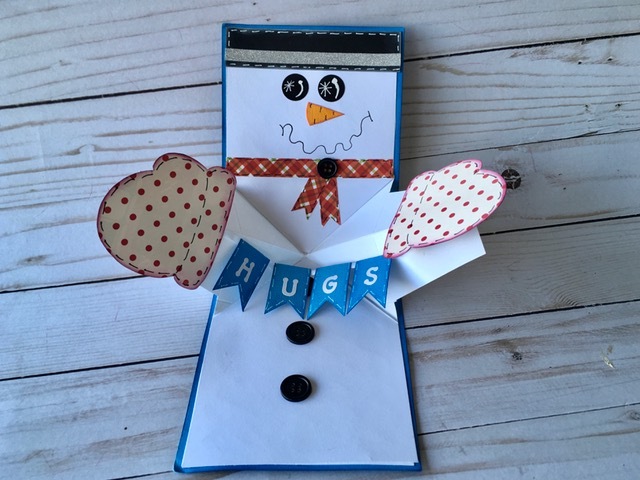 The second picture is a big surprise – it pops open with the cutest snowman opening its arms with a banner reading “HUGS.” She also inked the edges of the snowman’s mittens to give it that added color red with black inked lines around the mittens as well. Anita then glued black buttons to add a pop. The face was made using a circle punch for the eyes and nose and then a hand-drawn mouth. You did an awesome job, Anita! 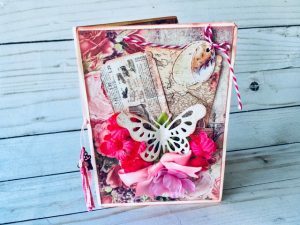 The second picture is of the card opened up with a quote stamped inside and beautiful die cute corners and borders to hold the gorgeous smile tag. 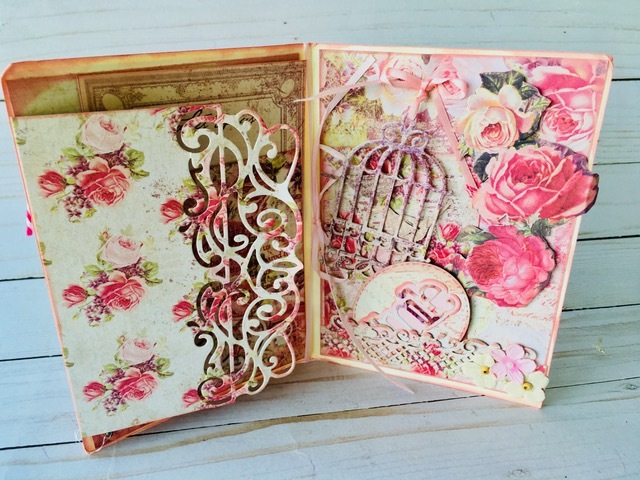 Last but not least, a birdcage die holding two precious birds held on by a pink bow. All I can say is, “WOW”! 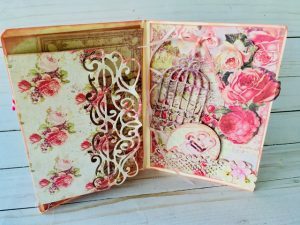 Bunnie, you created a beautiful and intricate card. 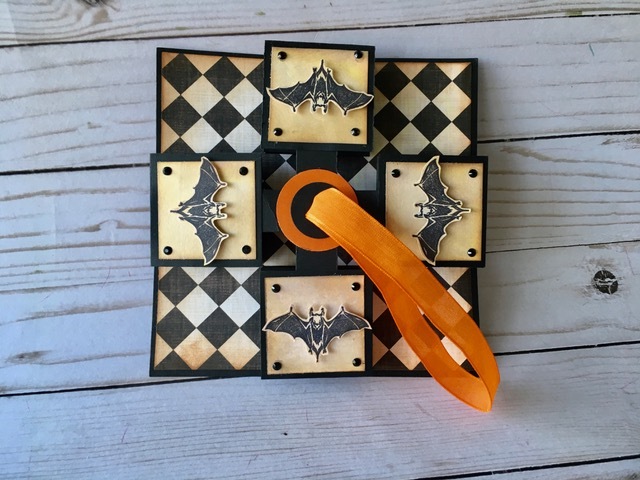 Our last card swap winner goes to Kimberly Schwartz with her 3-D Halloween bat-terrific card. The first picture is how the card looks folded down. 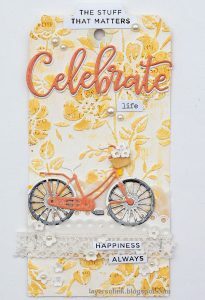 With the bright orange ribbon to grab, you can pull up to watch this awesome card expand. The second picture is of me holding the card up by the orange ribbon to find this scary and wicked card with each square stamped with a different image in black ink. The corners were inked to give the card a distressed look. 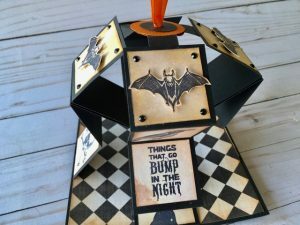 The card is so much fun to open up, but then when you receive it, you then can hang it as a Halloween decoration in your home or office. This card so creative and boo-tacular, Kimberly! 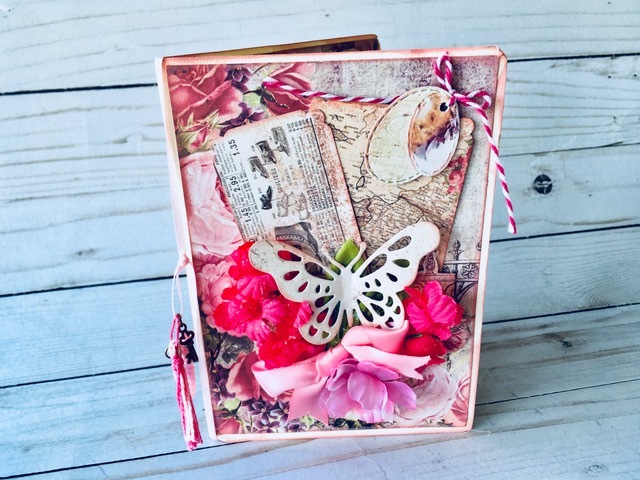 This entry was posted in Blog, Card Swap and tagged card swap, Cardmaking. wonderful cards each and every one! Thank you all! !would love the instructions for the Halloween hanging and snowman hug card if possible. Fun cards and so much talent! Wow! Lov d looking at these! They are all so neat! Congrats on winning! 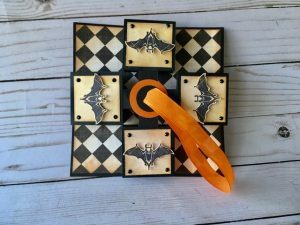 Would love to know how you made the holloween card. Those are great cards. Would love to have the instructions for the 3-D Halloween Bat-terrific card. Would also like the instructions. It seems complicated but it is a cool card!